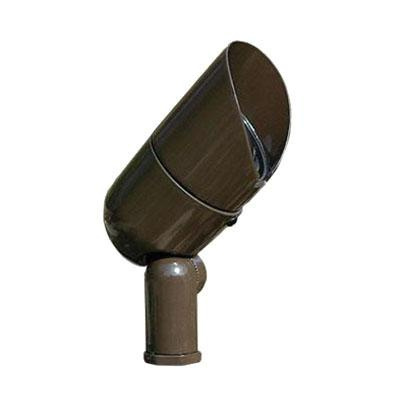 Philips Lighting Micro accent light in thermoset powder coated bronze finish, features die-cast marine grade aluminum alloy construction with fully adjustable swivel and vibration proof locking teeth. Clear tempered glass shade brings elegance to the home. This light uses 7-Watt lamp that has color temperature rating of 3000K. Lamp offers 460-Lumens of bright light output. The GU5.3 2-Pin socket lamp has voltage rating of 12-Volts. Lamp has average life of 25000 hours. Bullet shape micro accent light measures 5-13/16-Inch x 2-13/16-Inch. Stake mountable light comes with fully adjustable swivel arm and vibration-proof locking teeth. Micro accent light is ETL/cETL listed.